North Wales (Welsh: Gogledd Cymru) is the northernmost unofficial region of Wales. Retail, transport and educational infrastructure are centred on Wrexham, Rhyl, Colwyn Bay, Llandudno and Bangor. 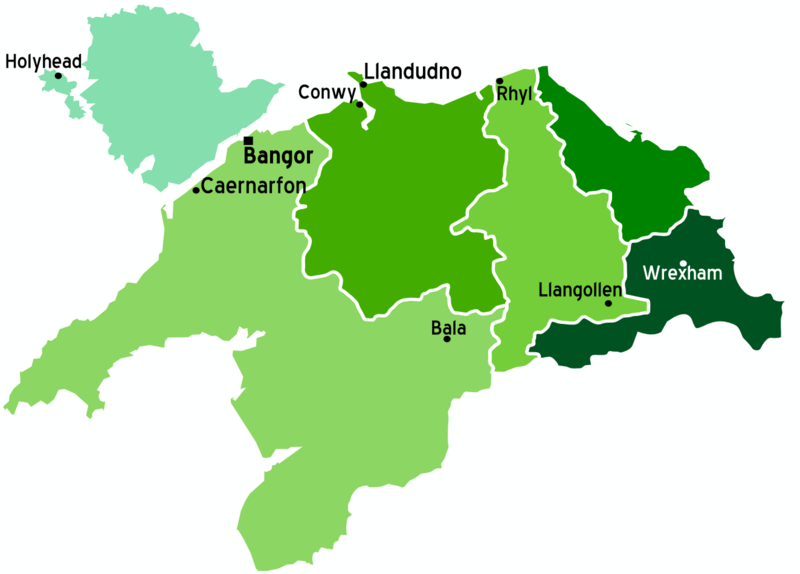 It is bordered to the south by the counties of Ceredigion and Powys in Mid Wales and to the east by the counties of Shropshire in the West Midlands and Cheshire in North West England. The southern boundary is arbitrary and its definition may depend on the use being made of the term. For example, the boundary of North Wales Police differs from the boundary of the North Wales area of the Natural Resources Wales and the North Wales Regional Transport Consortium (Taith).